Big Nate meets DanTDM in a debut middle grade adventure by social media superstar Zach King. 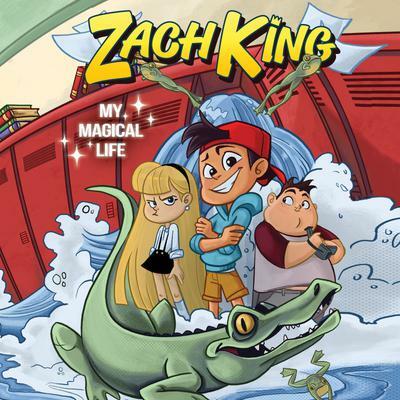 Zach King: My Magical Life is also coming to theaters soon, as the project has been picked up by Steven Spielberg’s Amblin Entertainment. For fans of Diary of a Wimpy Kid, Timmy Failure, and DanTDM: Trayaurus and the Enchanted Crystal and anyone who’s ever wondered where they belong, this is the perfect audiobook for you.